Good balance is being able to easily control and maintain your body’s position. 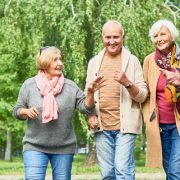 Maintaining good balance and sense of body position is critical to preventing falls. Falling is the ultimate loss of balance and the leading cause of debilitating injury and premature death in older adults. Good balance is being able to easily control and maintain your body’s position. 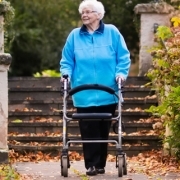 Maintaining good balance and sense of body position is critical to preventing falls. Falling is the ultimate loss of balance and the leading cause of debilitating injury and premature death in older adults. 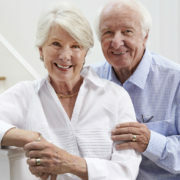 Each year, 1 in 3 adults over 65 fall each year. With millions of people falling each year, less than half will contact their doctor for help. Falls can be prevented. By following these tips, you can reduce your risk for falling. Ask your healthcare provider to review your medications. Begin an exercise program to improve your leg strength and balance. Get an annual eye exam. Replace eyeglasses as needed. Make your home safer. Remove clutter and tripping hazards. 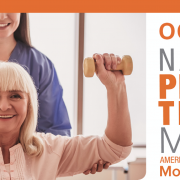 A physical therapist works with individuals to identify risk factors and designs an individualized program of exercises and activities with an emphasis on strength, flexibility, and proper gait. Balance may be improved with exercises that strengthen the core, back, ankle, knee, and hip muscles along with exercises that improve the function of the balance system. Occupational therapists work with you to discuss changes and modifications that can be made around your home to help prevent falls from occurring. If you have concerns about your balance, ask your doctor if therapy can help. When you receive a doctor’s order for therapy, our physical therapy team can start immediately to help your balance and fear of falling. 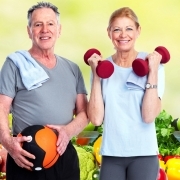 5 Ways Physical Therapy Can Help!